I’m not a big fan of the term “millennials” and all the negative connotations that are associated with this label. Although I technically am a millennial, I’ve tried to remove myself as far away from that term as I possibly can because for whatever reason, I had a sense of shame identifying as such. However, I am here to say that after reading PhD Meg Jay’s The Defining Decade, I am now proud to consider myself a millennial. 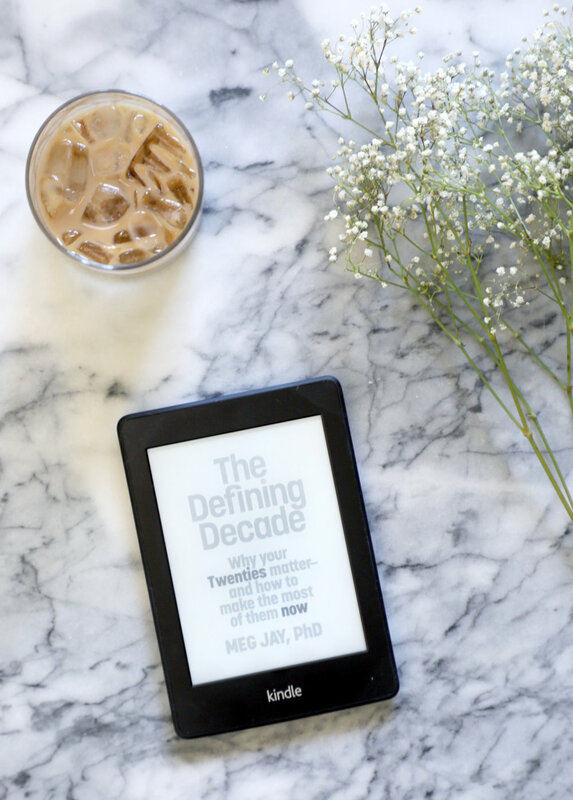 I first read The Defining Decade: Why Your Twenties Matter – and How to Make the Most of Them Now a year after I graduated college. I had a great job, I was single and enjoying my mid-twenties, and had so many goals and plans – but I was nowhere near where I thought I’d be by 24. When I was younger I thought I would be working my way up the corporate ladder, nailing every interview, and having more job offers than I could keep track of; even though I had no idea what I really wanted to be doing. I thought I would be close to marriage, on my way to buying a home, and have enough time to travel and get a good night’s sleep. Boy was I wrong! Although I was happy, I didn’t know how to overcome this dissonance I had: that my expectations and my reality were two very different things. I knew where I stood, I knew where I wanted to be, I had an idea about how to get there, but I just didn’t know how or when to start. Enter The Defining Decade. This book did so much for me at such an important and pivotal time. Not only did it ignite a fire within me, but it also made me feel understood and united – validated that my peers were feeling the same. My favorite thing about this book is that although its target audience is the millennial, any colleague or parent can take something meaningful away from it. It might seem like a ‘self-help’ book at first glance but it delivers so much more than that. Meg Jay covers work, connections, social media, love, balance, goals, and autonomy in one eloquent package. It helped to ground me and make me feel responsible and in charge of my journey. I’ve always believed that any experience good-or-bad is a learning experience, and will continue to aid in your growth and help you to evolve, and The Defining Decade supports that. I felt calm but excited after reading this book. Empowered. It helped me to focus and to consciously push forward, all while being realistic and relatable. Every twenty-something should read this book.